No matter the charge you may be facing, our lead attorney goes the extra mile to protect your rights. The most important choice you can make after you have been arrested, or have been notified you are facing a criminal charge, is your choice of lawyer. Lara Yeretsian, founder of Yeretsian Law, has represented high-profile clients across Southern California. 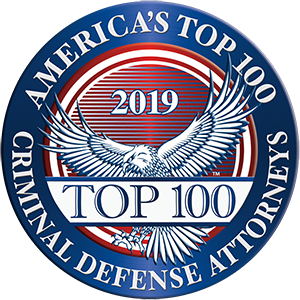 An experienced trial lawyer, she has successfully represented defendants charged with a broad spectrum of crimes and from industries that include entertainment, sports, medicine, law enforcement and business. Lara is a trusted name in the California legal community and is frequently asked to speak in the media about criminal law. She brings the same level of diligence to her commentary that she will apply to your case. She believes every client deserves to be treated with dignity and receive representation aimed at producing the best outcome in their situation. If you have a post-conviction matter needing resolution, we also handle probation violations, expungements, appeals and administrative law matters. If you have been charged or being investigated for a crime, call our offices in Glendale. We can help arrange privacy for you, handle any media concerns and represent you aggressively in the courtroom. Call us at 818-741-1220 or email us to set up an introductory appointment. Our practice speaks Spanish, Arabic and Armenian.